A trip to the mountains is not complete without a stop at Mast General Store, built in 1882, and one of the major attractions of the Mission Crossing byway. Quaint towns, rustic barns and beautiful fall colors are additional reasons to make the drive. 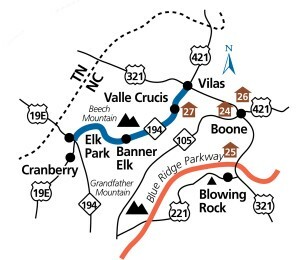 The byway begins near the Avery County community of Cranberry and follows N.C. 194 through the Elk River Valley to Banner Elk. 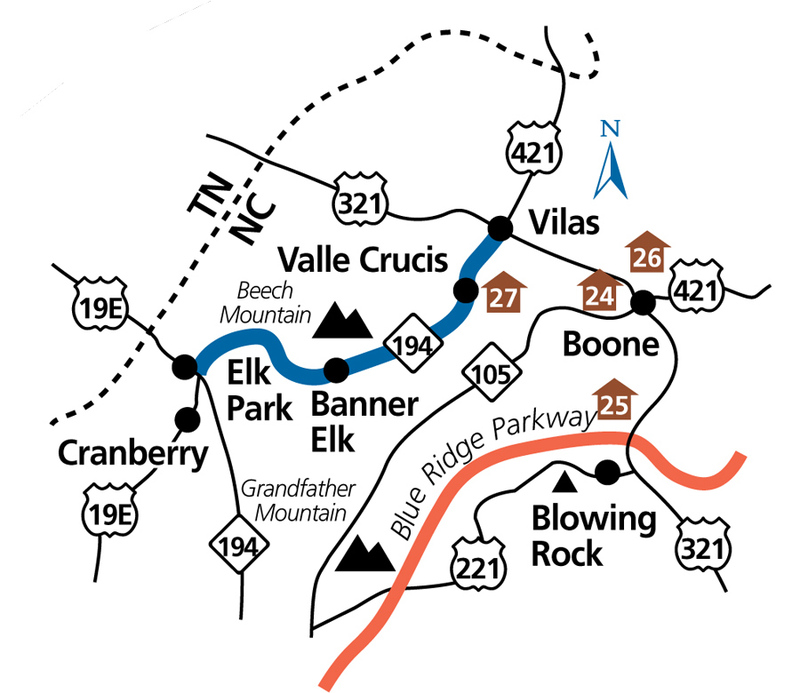 From here, the route descends into the Watauga River Valley and passes through Valle Crucis, home to the original Mast General Store and the 19th century Mast Farm Inn. Mission Crossing ends in the Watauga County community of Vilas at the intersection of N.C. 194 and U.S. 321/421 north of Boone.